Trent XWB Storage Pallet Design. This pallet is designed specifically to suit machine tools. It consists of ID labels and tool trays. 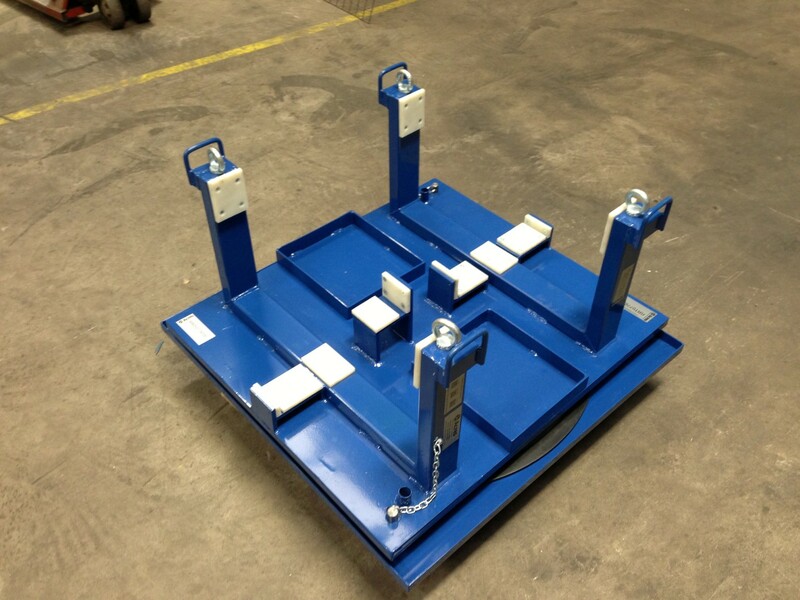 The base of the pallet features a turntable ring allowing the top section to rotate 180 degrees. To lock it in position index pins drop into a hole on the base section of the turntable ring. Approximate overall size – 900mm (W) x 900mm (L) x 450mm (H) Not including tooling.